It's is a good time to start tuning into the business of space. The months ahead could bring some monumental developments in the booming commercial space industry. Here's a look at what's on the calendar this year. Note that this industry is notoriously loose with deadlines, so it's possible that a few endeavors planned for 2018 will be pushed back. Elon Musk's company has made nearly a dozen unmanned trips to the International Space Station. Those missions deliver supplies and scientific experiments to the crew on board. That's a huge deal. Ever since NASA's Space Shuttle missions ended in 2011, American astronauts have had to rely on Russian spacecrafts to get to and from the space station. NASA's keen on changing that. The agency has paid Russia about $81 million per seat for those trips. 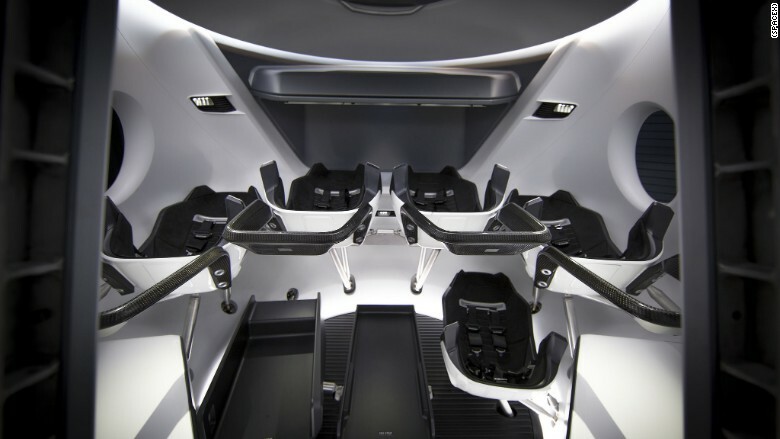 The deal with Crew Dragon would cost NASA about $58 million per seat, according to a NASA estimate. Aerospace firm Boeing (BA) has long been involved in the space industry. And now, just like relative newcomer SpaceX, it's getting ready to help send astronauts to the space station. Boeing has a contract with NASA to make the trek on its new spacecraft, the CST-100 Starliner. 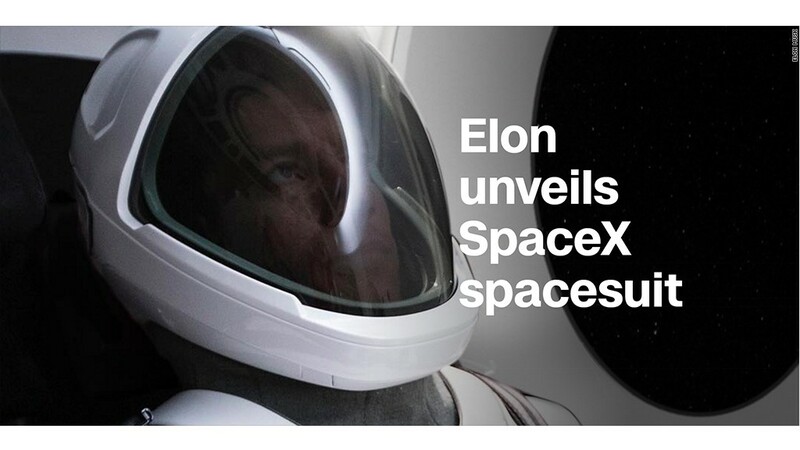 It's expected to cost about the same as the SpaceX deal. It will boast more than double the thrust of the Delta IV Heavy, which is currently the most powerful launch vehicle. The Delta IV Heavy is built by United Launch Alliance, a partnership between veteran firms Boeing (BA) and Lockheed Martin (LMT). It won't, however, be the most powerful rocket in history. That honor belongs to the Saturn V, the NASA rocket that was used for the Apollo moon landings and was retired in the 1973. 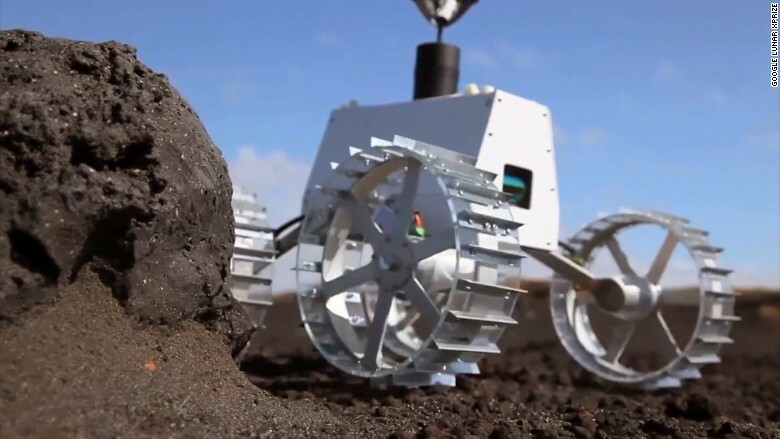 The goal: Land an unmanned spacecraft on the moon, travel at least 500 meters and deliver a "mooncast" of high-definition video back to Earth. And the whole mission must be privately funded. The first team to complete the challenge will win $20 million and some serious bragging rights. So far, only governments -- China, the U.S. and the Soviet Union -- have successfully completed trips to the moon. When: The deadline for mission completion is March 31, though it should be noted the competition's timeline has changed before. The space outfit founded by Amazon (AMZN) CEO Jeff Bezos already has a small rocket, dubbed New Shepard. The company will use that rocket -- likely beginning sometime in 2019 -- to send paying tourists on brief trips to space, where they'll experience microgravity before returning home. In 2018, Blue Origin will conduct more test launches for that project. But Blue Origin also plans this year to host a grand opening for it's new shiny new factory at Kennedy Space Center in Florida. That's where construction will begin for a much larger rocket, called New Glenn. 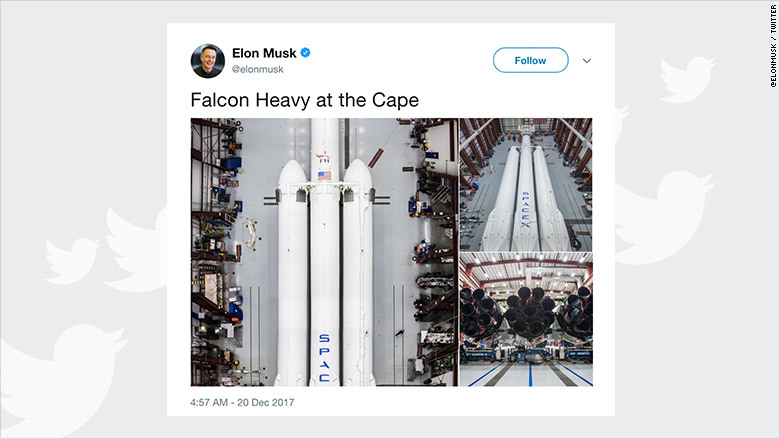 That rocket will be capable of hauling satellites to orbit, opening up a new range of business opportunities for Blue Origin, which is currently being financed in large part out of Bezos's own pocket. A number of fledgling rocket companies with space ambitions -- including Richard Branson's Virgin Orbit and a New Zealand firm called Rocket Lab -- plan to start launching satellites into orbit sometime this year. The price of satellites has fallen drastically as technology has evolved, and more entities -- from major corporations to high schools to a podcast team -- have grown interested in putting satellites in space. But there's a common gripe: Launches aren't cheap or frequent enough. That's why more rocket startups are stepping up, promising more convenient access to space.